Don’t miss The Bonsal Blue’s Band’s Annual Spring Concert. 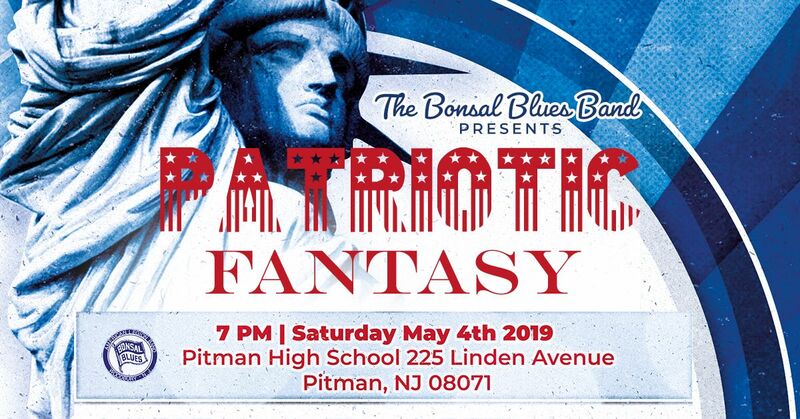 2019 Concert Theme is The Bonsal Blues Bands presents “Patriotic Fantasy” annual spring concert. Experience the sounds of the award winning Bonsal Blues Bands! Our concert band will be playing familiar family tunes like the themes from Captain America, one of the world’s mightiest heroes. You will also hear familiar shows and classic American Marches.